Thank you for your purchase of ePrescribe from Henry Schein. To help you get set up and prescribing as quickly as possible, please click on the instructions under the product you purchased. If you use ePrescribe at multiple offices, we have also included instructions for linking multiple eRX accounts together. ID.me is the Credential Service Provider (CSP) used with our products for Electronic Prescribing of Controlled Substances (EPCS). The DEA requires that EPCS vendors utilize CSPs. 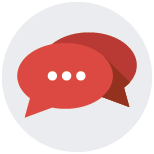 Chat online with a member of our Implementations Team.